Zirconia is a solely solid ceramic which is to fabricate crowns. Standard all-porcelain or all-ceramic crowns are not as strong as Zirconia.Zirconia crown is offering the longevity of metal-based crowns, with a better aesthetic appeal. It is ideal for long-span appearance and use. 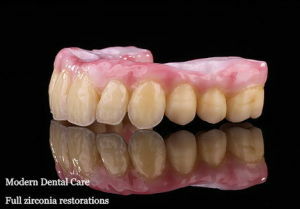 Zirconia crowns not only have exceptional strength and durability, they also transparent in x-rays. If you have a zirconia dental crown, dentists at Modern Dental Care can take routine exams and check if the tooth structure under the Zirconia crown is decay-free and healthy. Zirconia crowns from our ADB Dental Laboratory are comfortable and without the irritation of soft tissue on the inside of your mouth. Zirconia allows light to pass through its surface and mimics the appearance of real teeth in the way. Metal-based dental restorations prone to be less natural looking over time. But zirconia is an aesthetically appealing ceramic that lets your smile to look perfect and natural for years. 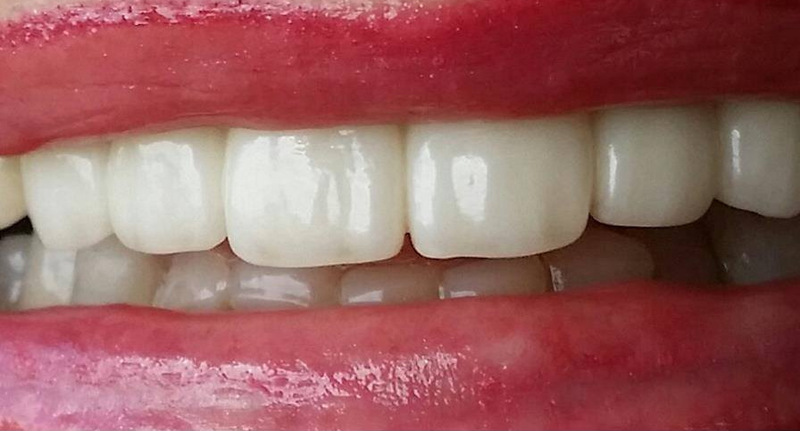 If you want to know more about Zirconia Dental Crowns contact Modern Dental Care or request your appointment.